Rooted in tradition, music has always been an integral component of who we are here at Tyler Mountain. In the music industry for over 45 years, we (Dave Stype and Paul Stype) started out as young musicians touring on the road with the Bluegrass Band, "The Limited Edition". We later acquired a music store in Hollywood, Florida called "The Banjo Shop". Throughout the years, "The Banjo Shop" became a significant draw for musicians from Tiny Tim to Tony Trischka. 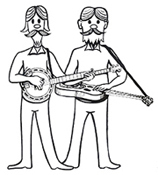 We soon became a part of the South Florida Bluegrass Community, which still continues. For the past 25 years, the business evolved into Stype Brothers, Inc., which is a Wholesale Music Distributor to the trade. We distribute for many companies, including our own, Tyler Mountain, brand. Why the name Tyler Mountain? Originally from Pittsburgh, our family moved to Cross Lanes, West Virginia in the early 70’s. Our family lived on Big Tyler Mountain. 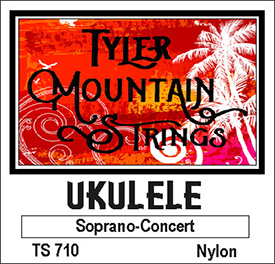 When it came time to name our own brand of instruments, Tyler Mountain, was born. We still spend time in West Virginia with family, but we now reside in sunny South Florida. 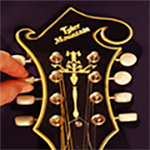 Over the past 25 years, Tyler Mountain has produced acoustic guitars, electric guitars, resophonic guitars, banjos, banjo mandolins, mandolins, and others. We are no longer importing instruments so that we can focus our energy on broadening our Tyler Mountain Strings, Parts and Accessories. We are also looking to expand our instrument building here in Pompano Beach, Florida. We continue to approach our musical journey with enthusiasm and integrity, all the while ensuring quality products with fair pricing and providing excellent service. Own a Tyler Mountain instrument and want to learn more about the history? Read more here: (History of Tyler Mountain Instruments).